If you like gin, and you’re on Twitter, then you’ll probably already know Gin Monkey. If not, Emma Stokes (the monkey’s alter-ego) is a well-known boozy blogger, bartender, masterclass leader, and World Gin Day (the greatest day of the year) queen. When she’s not run off her feet with all that, she finds the time to work in science communications. From this magical mix of booze and science genius, ‘The Periodic Table of Cocktails’ book was born. Don’t panic! If you haven’t thought about science since learning that ‘mitochondria is the powerhouse of the cell’, you’ll still be able to work your way around this slightly geeky, boozy bible. It’s perfect for the enthusiastic home bartender: most of the cocktails are easy to make, with a few trickier ingredients and recipes for when you’re feeling ambitious. 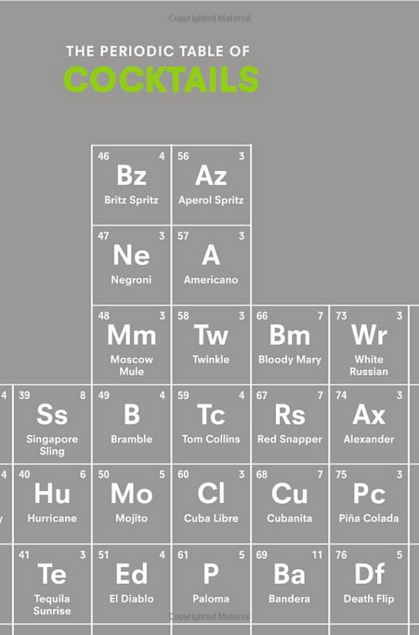 There are 106 cocktails in the book, ranging from classic to modern, carefully laid out into a ‘periodic table’ (just like the title!). However, there’s no carbon or boron in sight, just Cuba Libres and Bourbon Smashes. 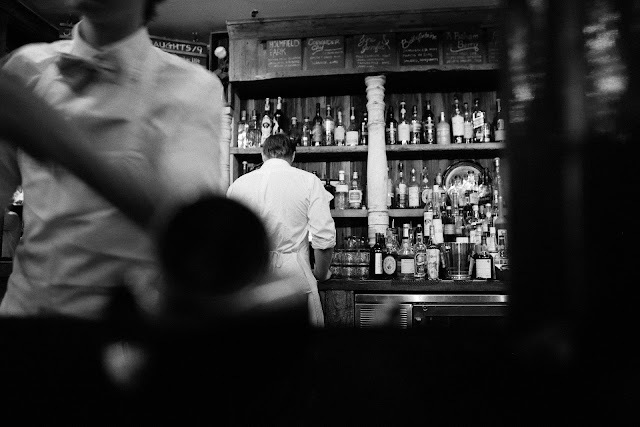 You’ve got cocktail styles in the columns (starting with a Martini and getting longer), and base alcohol across the rows (light to dark/heavy). There’s also an overproof and beer section. So far I’ve kept it classic with a Gimlet, but I’m very intrigued to try the Trinidad Sour (by New York bartender Giuseppe Gonzalez), which features a whole 25ml shot of Angostura bitters. Once you’ve found a cocktail you like, it’s highly probably that you’ll enjoy the drinks around it on the table, which have similar flavour profiles. Each recipe has brief introduction, a little bit of history, and some helpful chatty tips – Did you know that the key to a good Scofflaw is a good-quality grenadine. Did you know you can make your own grenadine? And if all that’s not enough, you get a handy pull-out colour poster, which has already taken pride of place on my desk wall. Perfect for a spot of boozy contemplation at 11am. 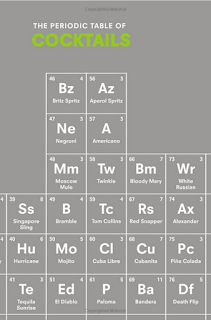 'The Periodic Table of Cocktails' is not about pretty pictures, but it does a great job of helping you find some tasty cocktails, old and new. It's been out since last October, and is available from the lovely chaps at Master of Malt for £9.99, and Amazon, for a whole penny less (stick with MoM and buy some booze while you're there).